One of the UK’s leading suppliers of polymer pre-insulated piping and district heating solutions will be be there to discuss the industry and showcase it’s work at the event, which is in its sixth year, organised by the Association for Decentralised Energy and the Energy Institute. 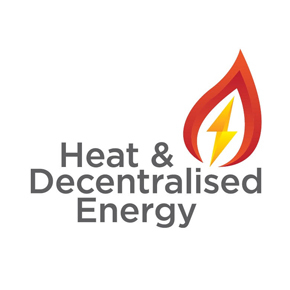 The Heat Conference is the leading industry event for the CHP, demand side energy services, district heating and community energy sectors in the UK, bringing policy makers, opinion leaders and energy consumers together for stimulating debate and industry insights. This year, the theme is ‘Inspiring Leadership’, with the one day event looking at what the industry needs to do to achieve competitive, cost effective, low carbon energy systems. Marketing Communications Manager from REHAU, Jo Trotman, commented: “We are really looking forward to being part of this year’s Heat Conference. This also symbolises a significant landmark for REHAU, as its first chilled ceiling was installed in the Siemens Building’s meeting rooms in 2013. ADE Business Development Manager, John Bryant, commented: “We are delighted REHAU is joining us as a Conference Supporter for our sixth annual Heat Conference.